The giant bunny rabbit Simon was on his way to a life of luxury, shipped from a breeder in the United Kingdom to a would-be exotic pet owner in Ohio. Instead, he somehow ended up in a jet freezer, according to anonymous United Airlines employees quoted in British tabloid the Sun. Other United Airlines employees, mistakenly assuming that Simon was just taking a nap, left him in there for about 16 hours, the paper reported. Breeder Annette Edwards, furious to learn about Simon’s sudden death while in the care of United Airlines, said her rabbit was healthy before his journey and told the British press that after his death, United Airlines cremated the animal without her consent. “We were saddened by the loss of Simon and have worked with Annette Edwards to reach a satisfactory resolution," United spokesman Charlie Hobart responds to ConsumerAffairs via email. He did not address the specific, grisly allegations leveled in the Sun. “I would also suggest you visit Ms. Edwards’ website to view her most-recent statement on the situation," Hobart adds. Several months prior to Simon’s death, the dog Sadie was on her way from Hawaii to California, following her human family on their military-mandated move to the mainland. “This message is to regretfully inform you that the pet you shipped going to San Diego arrived into Denver deceased,” says an email that Sadie’s owner Lisa Nolasco received from United Airlines in February. 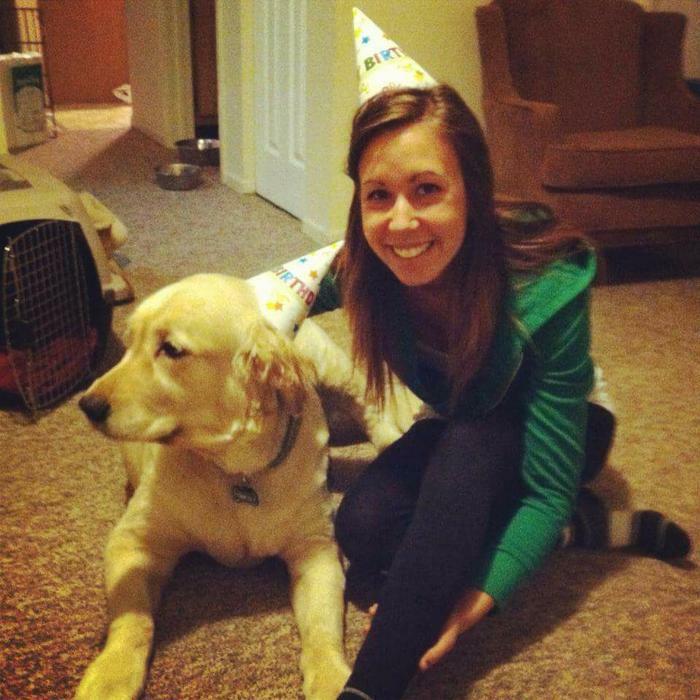 Kathleen Considine, also in the middle of a move this year, unexpectedly learned from United Airlines that Jacob, her golden retriever flying in cargo, would be stuck in Chicago on a 20-hour layover in late January. When he finally arrived to his intended destination, Jacob was disoriented, Considine recalled, and died at the vet several hours later. United Airlines refunded Jacob's ticket and then offered Considine $1,100 to compensate for the additional hefty expense of moving Jacob -- but only if she would agree to sign a non-disclosure agreement. Three years ago, in 2014, Barbara Galletly posted a photo to Twitter showing a kennel left out in the runaway on a rainy day, with no cover above. The kennel, which presumably had a dog inside, had been left there for half an hour, she said in her post. United responded to Galletly on Twitter; “The weather can change & may have been clear when PetSafe dropped off. They're the ones to call too,” neglecting to mention that PetSafe is not actually a separate company, but simply the name of United Airlines’ own pet shipment program. 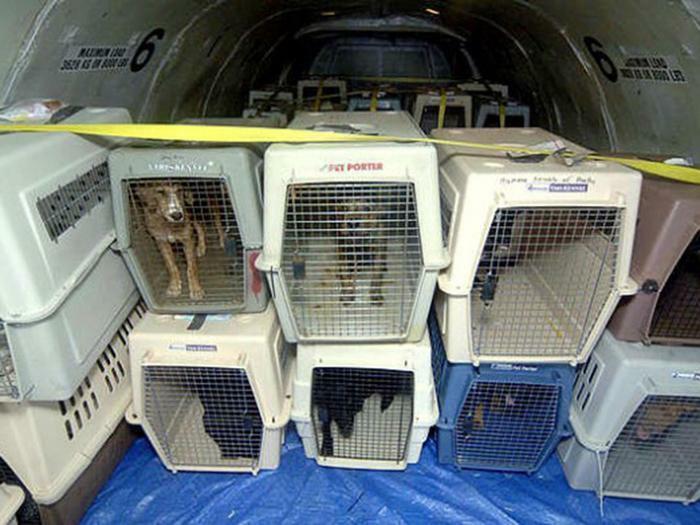 Janet Sinclair, flying United Airlines in 2013 while her greyhound dog, Sedona, and her cat were crated below, looked out her window during a layover in Houston and saw Sedona’s kennel getting kicked around by workers out in the tarmac. The kennel was roasting out in the summer heat and not the climate-controlled van that the PetSafe program promised, as Sinclair showed in footage she captured. By the time Sinclair was finally reunited with her pets, Sedona’s kennel was filled with blood. The dog’s medical bills cost Sinclair $2,700 and her veterinarian wrote that United Airlines was responsible for almost killing Sedona. United offered to compensate Sinclair for the steep vet bill -- on the condition that Sinclair sign a non-disclosure agreement, as local news channels reported in at the time. United also claimed after-the-fact that Sedona “has a pre-existing medical condition," an assertion Sinclair adamantly denied. While United Airlines and other major carriers say that they safely transport thousands of pets and commercial animals in the cargo hold of planes without problems every year, the more troubling incidents in the news highlight what animal-rights groups say shows a fundamental disconnect between the way humans view their animals and the way airlines officially label them. Shipping the animal as cargo, after all, means that the animal is considered as such. The Humane Society tells people traveling with pets to avoid that fate. “If you decide to fly with your pet, choose the cabin when possible,” the Human Society advises. The Animal Legal Defense Fund, a non-profit group that focuses on the legal defense of animals, uses starker language. Back in 1996, the ALDF released a warning claiming most cargo holds are completely unsafe for pets. “Until conditions improve, pet owners should never put their treasured companions aboard a plane. Doing so could seal their doom," the fund warned the public at the time. Today, ALDF attorneys say little has changed. "I'm not aware of any significant improvements that have been made in recent years with regards to safety of pets on flights,” ALDF attorney Chris Berry tells ConsumerAffairs. While people at least have fair warning that placing an animal in cargo carries risks, they’re often left with no other choice. That’s particularly true of those who own mid-size to larger dogs. Virgin America, for instance, describes themselves as a pet-friendly airline, one that refuses to place animals in the cargo hold and allows pets in the main cabin instead. But the animal and its carrier can't weigh more than a combined total of 20 pounds. Southwest Airlines also allows animals only in the cabin -- “Under no circumstances will we accept pets in the cargo bin” -- but the animal and its carrier must be small enough to fit underneath an airplane seat. Spirit, another airline that won't put animals in cargo, says that animals crated in the cabin cannot weigh more than a combined total of 40 pounds. Jet Blue puts the limit back down at 20 pounds. Other major domestic airline companies -- Alaska Airlines, Hawaiian Airlines, American Airlines, Delta and United -- accept larger animals such as dogs as checked baggage or cargo, and assure customers that the shipment method is perfectly safe for most breeds. “Warehouse facilities and aircraft are climate-controlled for the safety of your pet,” United writes of its PetSafe program, which ships dogs as cargo. “Pets receive personal handling in climate-controlled vehicles for connections in United's hubs if the animal will not be exposed to temperatures greater than 85°F (29.5°C) for more than 45 minutes," but the anecdotal evidence in the news suggests that those rules haven't always been followed in the past. 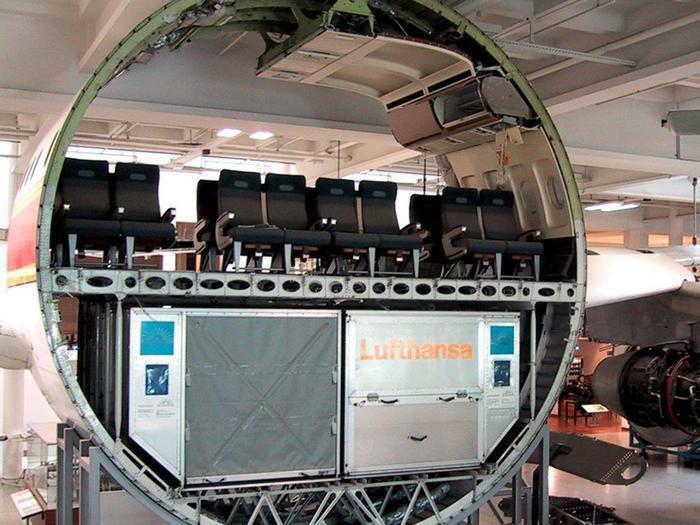 Airlines have the added advantage of liability caps for baggage and cargo, or fine print stating that they are only liable for a set amount should they lose or damage someone’s property. United Airlines’ lost or damaged cargo policy, for instance, states that they are liable for 50 cents per each $100 value of the damaged cargo. At the same time, the amount that consumers often pay for cargo can be prohibility expensive. Before merging with Continental Airlines in 2012, United Airlines said that animals could be checked as “Excess baggage." The cost for the extra baggage was typically $280. After merging with Continental in 2012, however, United instead began applying its cargo rates to animals -- a move that cost customers shipping animals around $400 on domestic flights or as much as $3800 on international flights, the military magazine Stars and Stripes reported in 2012. (United subsequently agreed to offer some discounts to service members). Military members tasked with moving overseas are acutely aware of the expensive and potentially dangerous moves their pets must make. One coworker, recalls Lisa Nolasco, the service member whose died on a flight from Hawaii to the mainland in February, “told me they’ll never have a dog when they’re in the military." Though Nolasco's dog Sadie was cleared to fly on PetSafe thanks to an airline-mandated health certificate, United Airlines after Sadie’s death paid for a necropsy report, which found that the dog had a pre-existing health condition. Nolasco had picked Sadie out of a litter while she was stationed in Hawaii. The terrier grew to 105 pounds -- making her far too large to be allowed in any airline’s cabin. Nolasco already knew there was a risk in transporting her dog as cargo, but she simply could not find any other way to get Sadie off the island. “I would put her on a boat if I could have,” Nolasco told ConsumerAffairs last month. Military veteran Kari Mendoza, a professional pet mover, counters that her business helps ensure that animals have better and safer flights. "I was a military kid myself. So growing up, that was the only consistent thing that we had, moving our pets with us,” Mendoza tells ConsumerAffairs. Mendoza says that animals are placed in a special section of the cargo hold, a spot she says is actually more comfortable for animals than the main cabin. "The PETA people, or whoever it is, they don't know," she says. "They've never been to the aircraft [cargo area.]" While Mendoza and other professional pet movers still rely on the airline industry to ultimately transport animals overseas, Mendoza says that her expertise ensures that people will book the best flight and order the correct kennel size, among other technicalities the average person doesn't consider. As other examples, Mendoza says she may advise clients to pick a certain day to travel, when she knows that there is no layover on a given route, or that she may arrange to have an animal taken across the country via a van to an airport offering a shorter, safer flight to the animal’s intended destination. Mendoza also includes extra labeling to a pet’s crate so that cargo workers are completely aware of the contents. Her service isn’t cheap -- it can add an additional $300 on top of the flight costs, she estimates -- but several nonprofit organizations offer grants for military members to help with the cost of pet shipment. In the past seven years since she launched her business, Mendoza recalls that three dogs have died. She only blames the mishandling on the part of the airline for one of those deaths and says the other two dogs had existing health problems. Mendoza also recalls an instance in which Delta shipped a customer's pet to the wrong airport. Airlines are required to report all animal injuries and deaths publicly to the United States Department of Transportation. Data shows that the reported deaths and injuries account for only a small fraction of the total animals airlines ship -- an average of only 3.99 deaths for every 10,000 animals transported on Hawaiian airlines, for example, or an average of 2.11 deaths per 10,000 animals flown on United. But when something does go wrong, airlines rarely find themselves at fault or take corrective action, former Animal Legal Defense Fund attorney Jeff Pierce told ConsumerAffairs last month. “I have not seen an instance in which the airline determined that they did something wrong, and that the animal was injured or killed because it’s too hot or too cold,” Pierce said. And attorneys argue that the the numbers reported by airlines don't tell the whole story. "I have reason to think those are being under-reported,” current ALDF attorney Christopher Berry says. For example, the death of Kathleen Considine’s dog Jacob in January was not included in United Airlines’ data submitted to the federal government, even though Considine blames the United Airlines trip, including Jacob’s unexpected 20-hour layover, for killing her dog. "That is because Jacob did not pass away in our car...Jacob passed away several hours after Ms. Considine took him into her care,” United Airlines spokesman Hobart explained. Because Jacob died at the vet and not on the airplane, United opted not to include him in their death statistics.